The healthcare and insurance landscapes continues to change. Thus, physical therapy practices can struggle to secure and maintain referral relationships with physicians. We all know the story—your marketing manager calls the office to set up a visit and the receptionist says “I’m sorry we are no longer seeing medical or pharmaceutical representatives for office visits”. Now what? How can you keep the referrals flowing in when the front door has been shut? If a physician’s office is no longer seeing reps, then you need to find another way to get your clinic’s marketing in front of the doctor. And guess who your new messenger can be—the good ole United States Postal Service! Come healthcare changes and insurance woes, the USPS continues to go…and delivers mail to the doctor offices. So why not ramp up your direct mail marketing campaigns? Physician mailers can take a variety of forms from postcards to tri-folds brochures to mini-newsletters. 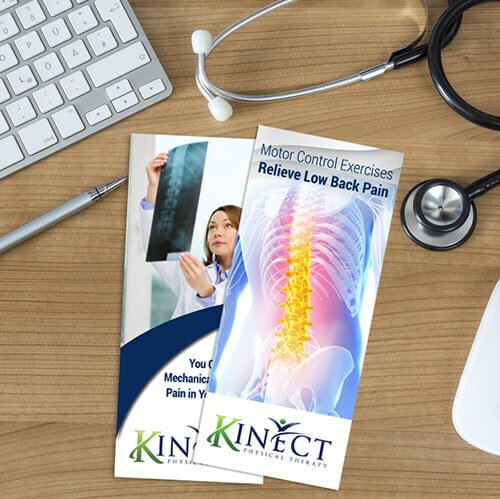 The key objective is to mail a piece of practice marketing that has content and calls to action specifically tailored to a doctor audience. Doctors’ offices receive dozens of letters a week, usually from insurance companies, hospital groups etc. Adding one more letter from your practice to the stack does not guarantee that the doctor will even see it (or open it). Think beyond the white envelope and into a mailed piece that stands out. There are 10 letters in the stack and one postcard. Each is printed on a thicker material and in a different size and shape. Generally, the postcard will get noticed first. Practice Promotions uses this strategy with all our mailed marketing. From glossy, heavyweight postcards in non-traditional sizes to full-color, sturdy trifold physician mailers to silky, magazine-like newsletters, we know that our colorful, textural marketing pieces stand out. This might seem like a no-brainer, but using generic stock photos of doctors is only halfway there. Think about your physician mailer list—who will be receiving your mailer and what are their demographics. For example, if you are sending a mailer about post-surgical rehabilitation- consider using a mix of imagery that includes surgeons and physicians. Or if you are in a rural community that has mostly nurse practitioners, consider using more nurses than doctors in your images. People are more likely to open a mailer that they can relate and respond to. So by providing a visual image that is similar to the recipient, you increase the open rate for your campaign. 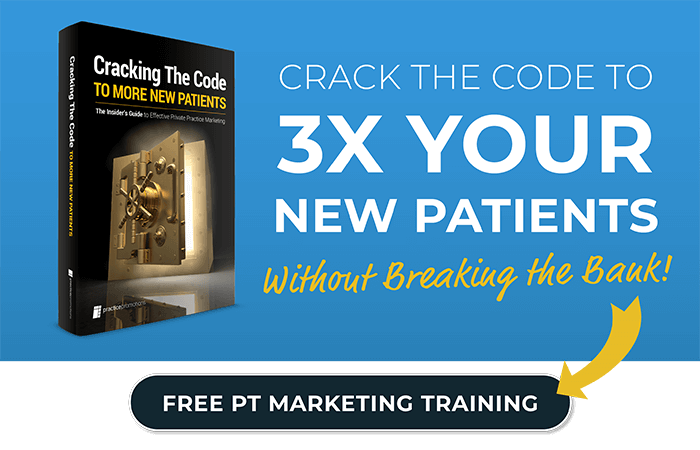 Physicians are one of the more heavily marketed groups so your mailer needs to be unique to your PT practice. Consider adding real statistics to your content and finding testimonials that show how well you can make patients feel. Say you treat a lot of worker’s compensation cases—you know how many of your patients were able to return to work after leaving your care. Start marketing your practice as a “Worker’s Compensation Specialist”. Use a verifiable claim like “over 85% of our patients are able to return to work”. This gives real context and value to what doctors can achieve by sending their patients to you! Physician mailers should take a variety of shapes and sizes, use appropriate content, and are effective at getting more referrals for PT. For more about print and direct mail marketing with proven results – see the products our clients use to grow!